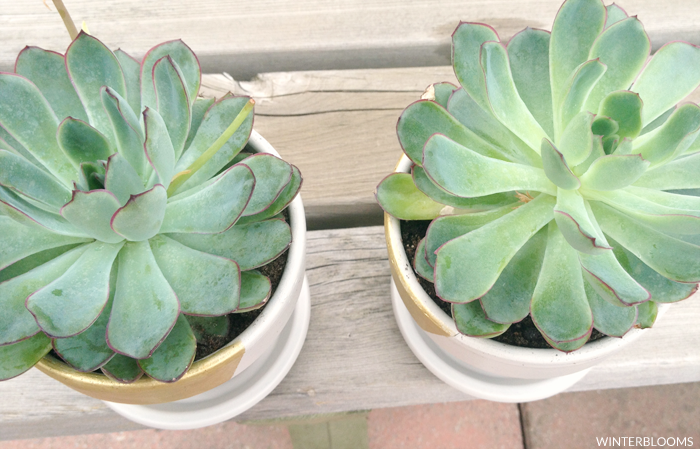 Oh yes, I jumped on the succulent bandwagon. No regrets about it at all. I stood in my local flower shop for a good fifteen minutes just hemming and hawing over the sheer variety of succulents. And I kinda wanted to take each and every last one. But I settled on only two - and they're the same - for my two grandmothers. But that doesn't mean I won't head back in a week or two to grab a few more to make up a little succulent pot for myself! Mother's day has always been an interesting occasion for me. Though my own mother passed away when I was a child, I have a wonderful support network of aunts and grandmothers that I've always remained close to. And while I haven't always been the gift-giving type on Mother's Day, both of my grandmothers have had particularly trying years so far. 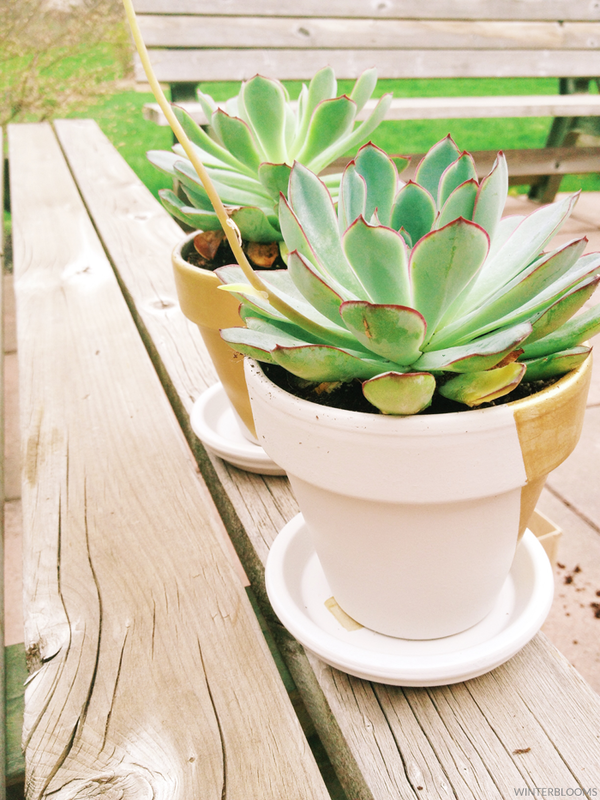 And so, this is my little effort to bring a little zen-like pick-me-up with a hand-painted potted plant. 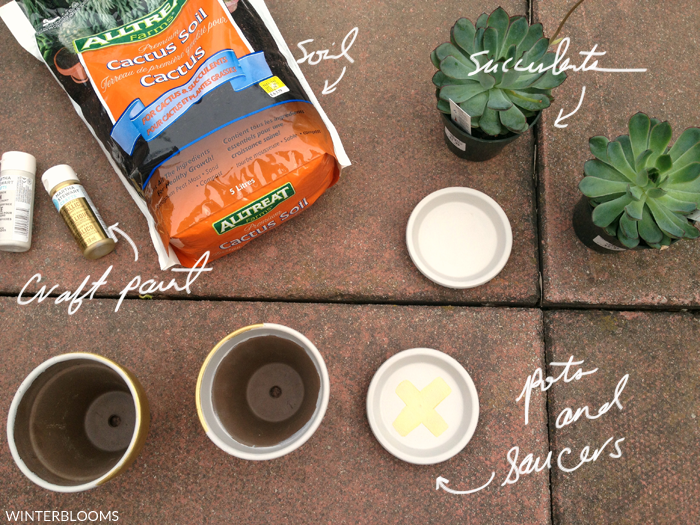 Things you'll need to make an awesome potted succulent? It took, admittedly and unfortunately, a little longer than I thought to paint up the clay pots. I used Martha Stewart's craft paints in Lake Fog and Gold - and the beige colour took about 4 coats to fully cover the pots. The gold took 3 coats, which was still disappointing but at least was only being used as an accent colour. Regardless of the time, I'm really happy with how the painted pots turned out. 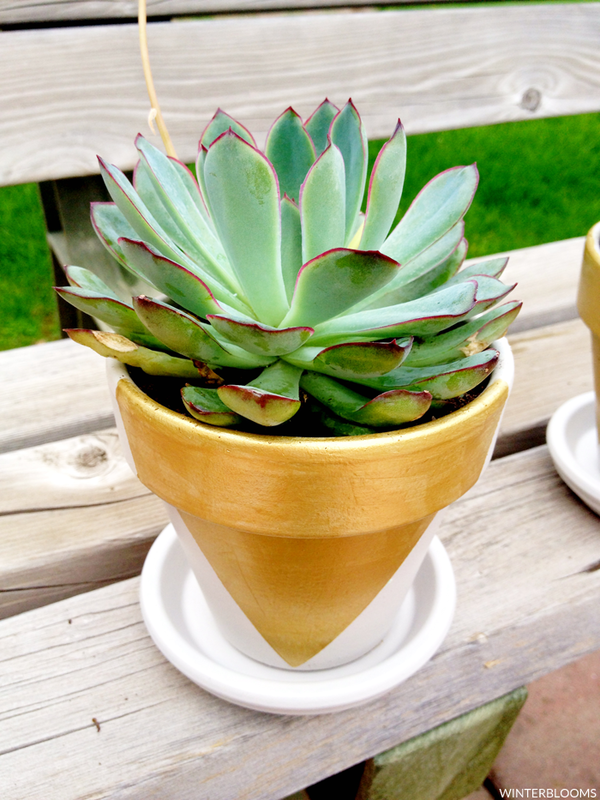 The lines were crisp and clean, and the gold looks really vibrant next to the neutral beige and the green of the succulent itself. 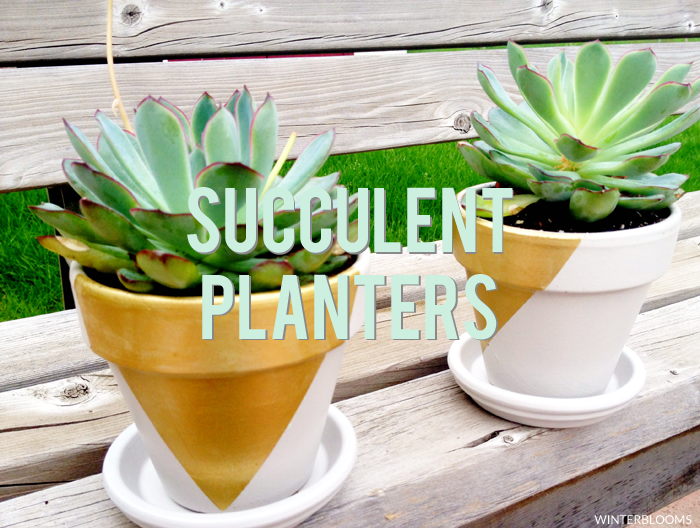 Have you jumped on the succulent bandwagon recently? Or are you planting anything special this spring?